Keep reading to learn the most common mistakes people make when using a rowing machine and how to avoid making them yourself. When using a rowing machine, you may be tempted to let your arms do all the work but this is not the correct way to use the machine. Plus – making your arms do all the work passes up the opportunity for your other muscles to enjoy the workout, and a mistake like this may also lead to an injury. As surprising as it may seem, the rowing machine is centered around your legs. About 60 percent of the work should be put on your legs. You make the big push with your legs followed by a slight backwards hip hinge and then follow through with a pull using your arms all while keeping the core muscles engaged. Using your feet to push against the foot plates builds up the power. If you start up the rhythm with your arms, you’ll put a severe strain on your upper body. Your legs are what will give you that kick start to begin the workout. There is a proper rowing machine technique to follow. If you start out with the wrong pattern, then you might mess up the entire workout, so make sure you start out the correct way and maintain that rhythm throughout. The first thing you need to do is push with your feet and legs. Don’t allow yourself to fall into the temptation of using your arms and upper body to begin. Once your legs have given you a push start, then proceed to the next step. The next step is to hinge backwards at the hips until your shoulders pass your pelvis bone and finally, you want to bring your arms to your chest, making sure the hands go no higher than your sternum. Once you’re at this point, reverse the order until you get back to your starting position and repeat – legs, body, arms and then arms, body then legs. Start in this rhythm and stick to it. Don’t put the strain on your back. Just as proper posture is important in our everyday life, it’s even more important during our workouts, but if you’re not one to have good posture regularly, then you might unknowingly use the machine with a rounded back. Remember to take note of this. When sitting down on the rowing machine’s seat, become aware of your posture. You need to sit up straight with your chest up and shoulders back and relaxed. Make adjustments to the machine if necessary. Completing this workout with a hunched or rounded back puts immense amounts of strain on your back. Sit straight and hold this position for the duration of your workout. Another big mistake that you can make when using a rowing machine is rushing the process. No workout should be rushed and even though using this machine is exciting, try to remain at a steady pace. It’s all about rhythm. Being the fastest isn’t necessarily equivalent to having the best workout. Your seat shouldn’t bang into the back of your heels and your muscles should get the full range of motion. Slower, full strokes will win the race! So for the best results, don’t rush. Create a controlled speed and make sure you’re using the correct form. The difficulty of the row can depend on the damper setting. Although you may feel tempted to set your damper setting to the highest level (10) when you first start out, don’t. Reaching level 10 is something to work up to and should only be used for specific workouts that are short in duration. You want to set yours at a lower range to start out with. While the ideal setting is between 3-5, test a couple of levels and see what feels right for you. As your muscles become more familiarized with the machine, increase your damper setting. Listen to your body and choose the right level for you. You don’t want to start out on a level that that is too easy, but you also don’t want to start out on a level that’s going to tire your muscles out before you can get a good cardio workout in. It’s easy to forget about checking the damper setting before beginning, so do your best to keep it in mind before you start your workout. 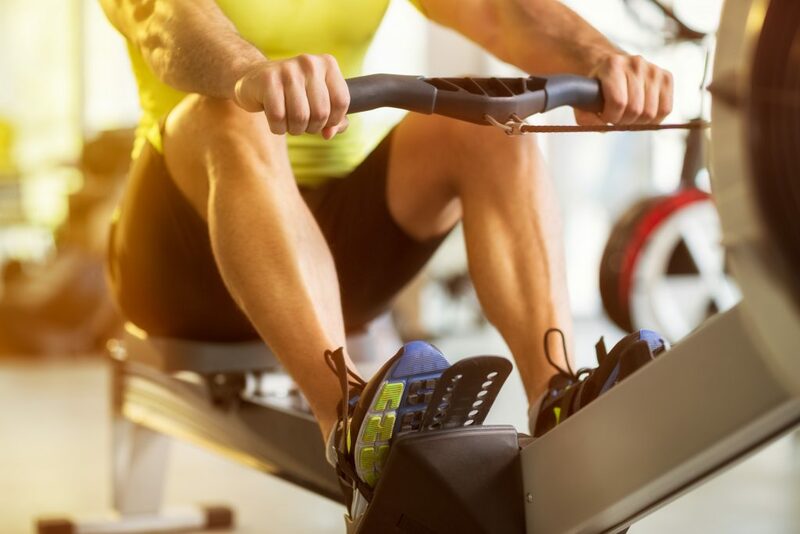 The best way to get the results you desire is by using a rowing machine the right way. Keep in mind that results take time before becoming visible to the eye, but every day that you commit yourself, changes are being made. Find the right rhythm and don’t rely solely on your arms. Allow your legs to take control. Be sure to have perfect posture. Take your time and don’t feel like you need to push the limits. Start out on lower levels and gradually work your way up. Keep these helpful tips in mind before embarking on your next rowing workout journey and you’ll be rowing like a pro in no time. And if reading about the proper rowing techniques made your day, then checkout our other blog posts to read up on the benefits of rowing regularly. Happy rowing! Previous PostWhat Muscles Does Rowing Work and What Are the Benefits of Rowing?